Local landcare group, Watershed Landcare, remains focused on promoting and facilitating environmental sustainability and natural resource management in our region. Our mission: to engage, empower and support our community to achieve a resilient and sustainable environment within the Watershed Landcare district. And that’s no mean feat in a region of diverse land use and community interests with a footprint of 900,000 ha! 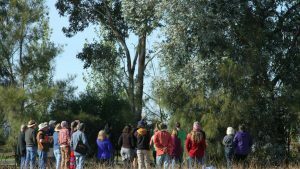 Way Forward: Watershed Landcare encourages the uptake of sustainable land management practices by providing training on a diverse range of topics. We work with our members and the community to improve knowledge and awareness, and to increase the uptake of sustainable land management practices. Sustainable agriculture is a key priority and we strive to promote innovation and bring sustainability into agricultural production; that means getting people to do business in a sustainable and viable fashion. To encourage the uptake of innovative practices we provide training in the latest agricultural and land management practices and techniques, focusing on a diverse range of topics such as grazing management, building soil carbon and health, plant identification and management of invasive species. Recently we have run workshops on native seed collection and propagation, serrated tussock management, paddock trees and remnant vegetation and in the next week have two booked out workshops coming up; sustainable soil management, and how to effectively tell your story with social media. In the last year we have supported our members to conduct projects to protect and enhance native vegetation on their land, establish paddock trees and prepare whole of property plans for the management of serrated tussock. Our special interest groups remain a high priority and we have supported the Grazing Group, Mudgee Microscope Group, Women in Ag Group, Mudgee Bee Group and the Friends of Putta Bucca to explore topics of interest and provide a peer support network for their members. They have explored topics such as bee biosecurity, seed saving, drought planning, and conducted on-ground works to rehabilitate the Putta Bucca wetland. Want to find out more about our events, projects or how to get involved? Contact one of our Coordinators, Claudia Wythes on 0412 011 064 or Agness Knapik on 0435 055 493 or email: info@watershedlandcare.com.au. Do you have a great idea for a project, speaker ot topic we should explore? Let us know, we’re always on the look out for fresh ideas. It’s all in the soil? Improve your patch! Want to improve mineral cycles, soil fertility, drought resilience, pasture and crop health and productivity on your patch? Soil and plant function is intrinsically linked to the chemical, physical and biological properties of soil. But did you know that by reintroducing and encouraging the life in your soil you can greatly influence soil chemistry and fertility? Watershed Landcare have invited grazier, enquiring farmer and soil specialist, Bruce Davison to present a Sustainable Soil Management workshop in June. 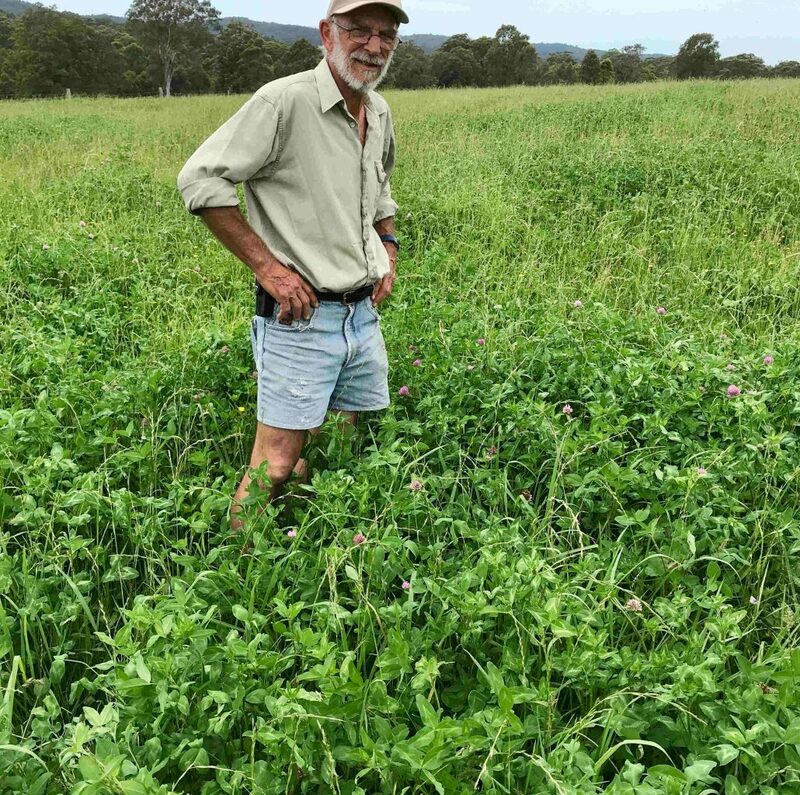 Bruce runs a cattle grazing enterprise on the far south coast of NSW where he has had success with utilising biological farming principles to build nutrients in his soils. 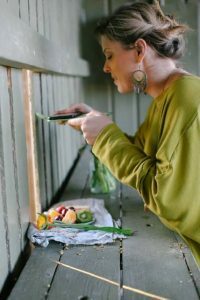 The full day workshop will cover soil basics, understanding soil biology, improving soil quality and growing nutrient dense food, constructing a high nutrient compost heap, building a farm scale worm farm and reading and interpreting your soil test. The workshop will be held from 9am-5pm on Thursday 28 June at the Lecture Room, Australian Rural Education Centre (AREC). Attendance is $35 for Watershed Landcare members and $45 for non-members and includes morning tea, lunch, afternoon tea. The course fee also includes the Soilsmith usb which contains a lot of reading and reference material, plus the soil nutrient spreadsheet which is the centrepiece of the workshop as it enables farmers to make their own decisions on soil management. The Sustainable Soil Management workshop will include a session on reading and interpreting soil reports and calculating amendments using the soil nutrient spreadsheet. We encourage all interested participants to bring along any soil analysis results they have. Workshop participants are also eligible to undertake a subsidised soil test prior to the event. Please contact us for more information. To register for the workshop please contact Watershed Landcare Coordinator, Agness Knapik, on 0435 055 439 email: info@watershedlandcare.com.au. http://watershedlandcare.com.au/wp-content/uploads/2018/05/bruce_davison_small-1.jpg 3002 3024 wslc http://watershedlandcare.com.au/wp-content/uploads/2016/12/logo-watershed-300x104.png wslc2018-06-01 09:41:172018-06-06 09:45:07It's all in the soil? Improve your patch!